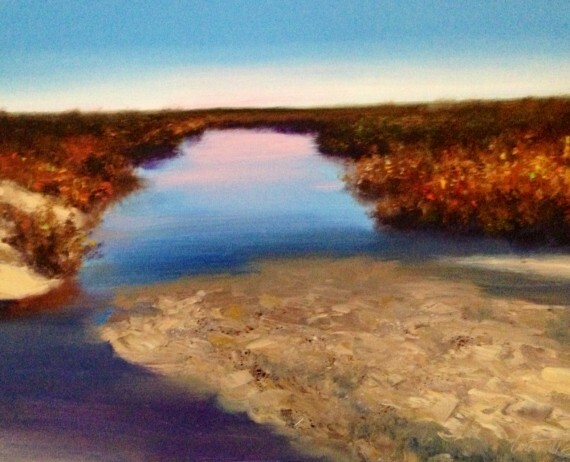 This was a saltwater marsh that I did down in Mobile Alabama. It was a beautiful clear morning with not a cloud in the sky, and as I was painting I could feel the heat coming up off of the Sandbar. It was just one of those moments! This is a 16 x 20 oil on panel.